Jazz giants from across the globe – including four-time Grammy Award winner Dianne Reeves; National Endowment for the Arts Jazz Master trombonist Delfeayo Marsalis andSouth African musical legends Sibongile Khumalo andJonas Gwangwa – are part of the line-up for this year’s star-studded Standard Bank Joy of Jazz. 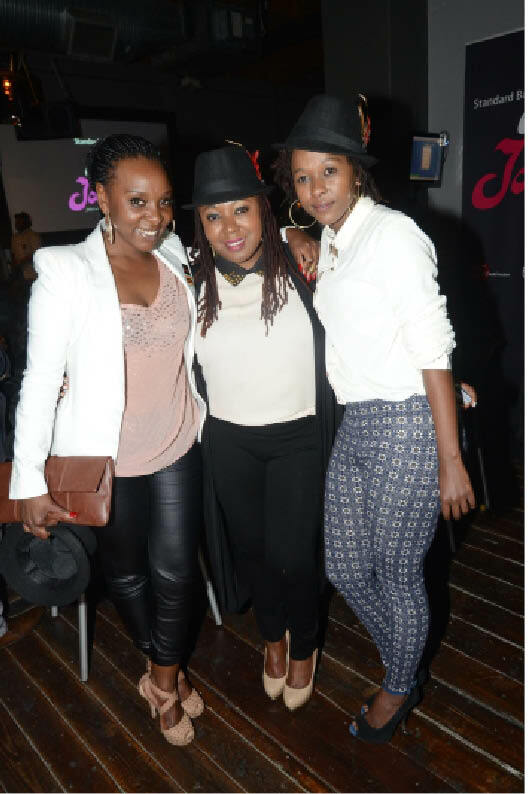 The new-look 2014 Standard Bank Joy of Jazz will take place at the Sandton Convention Centre from September 25 to 27. Other Grammy Award winners at Africa’s premiere jazz festival include British R&B legend Billy Ocean; this year’s Best Jazz Vocal recipient Gregory Porter and trumpeter Roy Hargrove. Other huge draw cards include Tony-nominated composer and multiplatinum-selling singer Ann Hampton Callaway; Filipino recording artist and cultural trailblazer Charmaine Clamor; New Orleans trumpeter Christian Scott; Independent Music Award winnerOmar Sosafrom Cuba; Italian jazz singer and Grammy nominee Roberta Gambarini; Cameroon’s Richard Bona; Dwele from the USand trumpeter and composer Tomasz Stańko,regarded as Poland’s most important jazz ambassador, who will be performing with some of top young jazz performers from Finland and Denmark. Performers from South Africa include Feya Faku and his quintet; the Mike Rossi Project; Herbie Tsoaeli and Carlos Mombelli, both of whom will be performing with their quartets. Germany’s Wolfgang Diefenbach is the founder and artistic director of the Hessian State Youth Jazz Orchestra also known as Kicks & Sticks who will be providing a big band sound at this year’s festival. Delfeayo Marsalis will be appearing with acclaimed Uptown Jazz Orchestra (UJO) who play everything from traditional New Orleans music, swing and bebop to modern-day brass band funk. Dianne Reeves is regarded as one of the greatest female jazz vocalists in the world. She is known for her unique jazz and R&B styling and her following has only grown as she’s crossed musical genres. After doing session work and touring with Sergio Mendes and Harry Belafonte, she made her name in the 1980s and has earned four jazz Grammys - an unprecedented three of which were consecutive. Reeves was the Los Angeles Philharmonic’s first jazz creative chair and the first singer to perform at the famed LA Walt Disney Concert Hall. With four No.1 singles in the UK, three American hits and record sales of over 30 million worldwide, Billy Ocean still holds the title as the biggest black recording star to emerge from the UK and his recognisable singing voice hasn't changed over the years. He sprung to fame with the hit singles Love Really HurtsWithout You and Red Light Spells Danger before winning a Grammy Awardwith Caribbean Queen. He was one of the biggest US megastars of the day thanks to hits such as Get Outta My Dreams, Get Into My Car. He wrote and recorded the theme to the Michael Douglas/Kathleen Turner/Danny DeVito movie Jewel Of The Nile, When The Going Gets Tough, The Tough Get Going. In 2010, Ocean was presented with the Lifetime Achievement Award at the MOBO Awards while the following year Ocean became a Companion of the Liverpool Institute for Performing Arts, presented to him by Sir Paul McCartney. Standard Bank Joy of Jazz’s move to Sandton allows the festival to continue its spectacular growth and also means that, for the first time, audiences will be able to buy a full festival providing access toall four stages – Dinaledi, Conga, Mbira and Diphala – in line with jazz festivals around the globe. 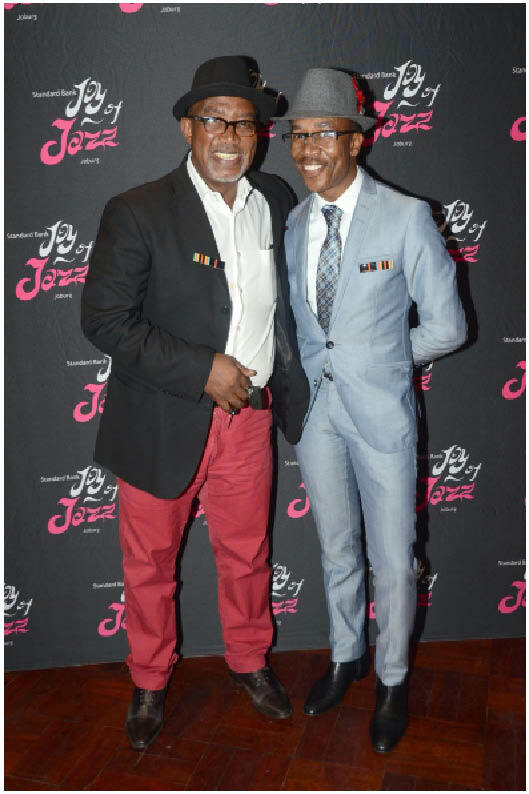 The 2014 Standard Bank Joy of Jazz is produced by T-Musicman and brought to audiences by Standard Bank in association with the Department of Arts & Culture; the City of Joburg, Gauteng Province andSouth African Tourism. Tickets are on sale at Computicket.A one-day pass costs R750 giving access to 16 acts. A two-day pass is R1250.Tickets are available at a 15 percent discount for all Standard Bank customers subject to availability and on presentation and usage of a valid Standard Bank debit, cheque and/or credit card at a Computicket outlet. The offer is limited to two tickets per person who meet the criteria. The offer is not available for online bookings. This discount will be available until August 31, 2014.